Dr. Valerie Hébert is associate professor of history and interdisciplinary studies. Her teaching areas include World History, 20th Century European History, 20th Century German History, World War I, Human Rights, The Nazi State, The Holocaust, and Genocide. Prior to joining Lakehead Orillia, Dr. Hebert held a Social Science and Humanities Research Council of Canada Post-Doctoral Fellowship at Osgoode Hall Law School, York University. She also taught courses on the Holocaust and Genocide at the University of Toronto. 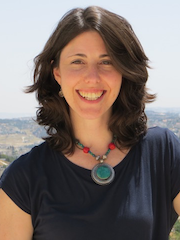 Dr. Hébert has received research fellowships from the Social Science and Humanities Research Council of Canada, the German Historical Institute, the United States Holocaust Memorial Museum Center for Advanced Holocaust Studies, and the Martin Buber Society of Hebrew University. A specialist in transitional justice, she has published on the Nuremberg Trials and Rwanda’s Gacaca Tribunals, and is currently writing about the place of the Holocaust in the evolution of Human Rights Law. Her other major research project examines the role of atrocity photography in Human Rights discourse. Hitler’s Generals on Trial: The Last War Crimes Tribunal at Nuremberg, University Press of Kansas, 2010. “ ‘Truth Heals’ and Other Myths: Reconciliation as False Promise in Post-Atrocity Justice Processes,” for the collection: Revenge, Retribution, and Reconciliation: Justice and Emotions between Conflict and Mediation. ed. Laura Jokusch, Kim Wuenschmann, Andreas Kraft, Magnes Press, Jerusalem, 2015. “Teaching the Holocaust with Postwar Trials,” Prism: An Interdisciplinary Journal for Holocaust Educators 6 (Spring 2014): 85-91. “Befehlsempfänger und Helden oder Verschwörer und Verbrecher? Konzeptionen, Argumente und Probleme im OKW-Prozeß,” NMT. Die Nürnberger Militärtribunale zwischen Geschichte, Gerechtigkeit und Rechtschöpfung. edited by Kim Priemel and Alexa Stiller. Hamburger Edition (English title: "Order Followers and Heroes or Liars and Criminals? : Concepts, Arguments, and Problems in the OKW-Case"), 2013. “From Nuremberg to Kigali: On the Necessity and Impossibility of Post-Atrocity Justice,” Lessons and Legacies, Volume X: Back to the Sources: Perpetrators, Victims and Bystanders, edited by Sara Horowitz, Northwestern University Press, 2012. “From Clean Hands to Vernichtungskrieg: How the High Command Case Shaped the Image of the Wehrmacht” in Reassessing the Nuremberg Military Tribunals: Transitional Justice, Trial Narratives, and Historiography. Edited by Kim Priemel and Alexa Stiller. New York: Berghahn Books, 2012. “The Politics of Punishment: War Criminals and the Struggle for German Reintegration with the West, 1948-1958,” in: After Fascism: European Case Studies in Politics, Society, and Identity since 1945 edited by Matthew Berg and Maria Mesner, Vienna: LIT Verlag, 2009. “Disguised Resistance? The Story of Kurt Gerstein.” Holocaust and Genocide Studies 20:1(2006): 1-33. By Invitation of the Editors: “The Holocaust and Human Rights” for the collection: The Wiley-Blackwell Companion to the Holocaust. ed. Hilary Earl and Simone Gigliotti, to be published by Wiley-Blackwell [Forthcoming, 2017]. "Human Rights Discourse in the Courtroom and the Theatre: The Gaud-Toqué Affair and the Harris Lantern Slide Show"